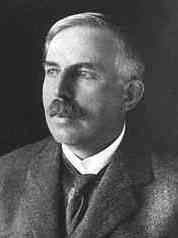 Ernest Rutherford was born on August 30, 1871 in the southern island of Nelson, in New Zealand. His parents belonged to the Scottish farming community of England and had migrated to New Zealand in 1842. They were cultured and well educated. In 1889, Ernest won a scholarship to Nelson College, a secondary school, where he was a popular boy. Another scholarship allowed him to enroll in Canterbury College, from where he graduated with a BA in 1892 and an MA in 1893 with first-class honours in mathematics and physics. In 1895, Cambridge University announced scholarships for deserving students of British Commonwealth countries. This was a big break. Rutherford joined Cavendish Laboratory and started research. He was fortunate enough to get guidance from a genius like J J Thomson. It was the time when the sensational discovery of X-rays was just announced. This inspired Rutherford to work on it. Later on, he was attracted towards radioactivity. Thomson invited him to conduct research on the effects of X-rays on gases. Rutherford accepted the challenge happily and began the research. Thomson was already a world-renowned physicist and his assistant Rutherford was a brilliant researcher. Thomson considered Rutherford his best and most talented student. Rutherford concentrated on Becquerel’s discovery of some mysterious and unknown rays. He found out that just as X-rays ionize the gases, these unknown rays (radioactive rays) ionize the gases. Meanwhile, a new post of professor of physics was created at McGill University at Montreal, in Canada. Thomson could not think of a better choice than Rutherford for the post. He inspired Rutherford to join the place. Rutherford was reluctant to leave a reputed place like Cavendish Laboratory, but to satisfy his guide’s desire he left for Canada in 1898. Here, he studied Becquerel rays under the effect of electric and magnetic fields. He made a wonderful discovery that these rays consisted of three types of rays, alpha, beta and gamma rays. He also succeeded in identifying two types: The radioactive rays that could be blocked by a thick paper were alpha rays (positively charged) and the ones that could be blocked by thin aluminium foil were beta rays. Beta rays were negatively charged electrons. Besides, he came to know that gamma rays were very powerful like X-rays. Here, he got an opportunity to work with the great English chemist Frederick Soddy (Nobel Prize winner for Chemistry in 1921). Rutherford and Soddy then investigated three groups of radioactive elements-radium, thorium and actinium. They concluded in 1902 that radioactivity was a process in which atoms of one element spontaneously disintegrated into atoms of an entirely different element, which also were radioactive. This interpretation was opposed by many chemists who held firmly to the concept of the indestructibility of matter; the suggestion that some atoms could tear themselves apart to form entirely different kinds of matter was to them a remnant of medieval alchemy. In 1907, Rutherford got an opportunity to return to England. There was a vacancy worth his caliber at Manchester University. He joined here and continued research in radioactivity. In 1908, Rutherford was awarded the Nobel Prize for Chemistry for his research on radioactivity and nucleus of the atom, though he was a well-known professor of physics. The British government knighted him and he became Lord Rutherford of Nelson. He was thus honoured for his outstanding contribution in scientific research. Another favourite student of J J Thomson, C T R Wilson was awarded the Nobel Prize for Physics in 1927 for his invention of the cloud chamber named after him. Rutherford used this equipment to study alpha rays more closely. He carried out many experiments on scattering of alpha particles by this foils of metals. On the basis of his experimental results, he announced in 1911 that the nucleus of an atom contained all the positive charge, which caused the alpha particles to divert their path as they approached the nucleus. Rutherford was then hailed as the discoverer of proton, the positively charged particle in the atom. It was Rutherford who discovered that an atom had a dense and massive positively-charged nucleus with the light negatively-charged electrons revolving around it. The simplest and lightest atom was that of hydrogen, with only one electron. In 1919, Rutherford proposed that the positively charged particle in the nucleus of hydrogen atom is a proton. These particles are present in the nuclei of all elements. The mass of a proton is 1836 times more than that of an electron. Like an electron, proton is also an elementary particle. Though proton is quite heavy than electron the electrical charge on both is equal but of opposite types. The mass of a proton is 1.6726231 X 10 -27 kg and proton’s electrical charge is 1.602.X 10 -19 coulomb. Rutherford’s celebrated students include Henri Moseley and Niels Bohr. It was thanks to the joint efforts of Rutherford and Bohr that the clear structure of the stom emerged. In 1919, Rutherford was appointed the director of Cambridge University and chairman of Cavendish Laboratory. This was a memorable day for Rutherford as he had succeeded his guide J J Thomson. Thomson’s another student James Chadwick discovered neutron in 1932, though Rutherford had predicted the existence of such a particle long before. The ‘Father of Proton’, researcher of radioactivity, Rutherford died in 1937. 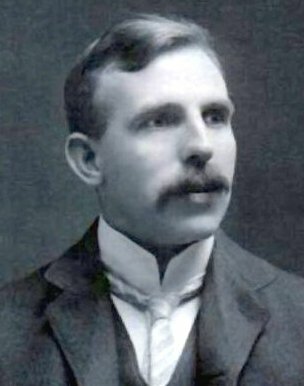 He published about 80 research papers, winning respect, honour and medals, aptly to be called Lord Ernest Rutherford of Nelson.